I did not mean for this to post today. My brain is in the gutter. Sorry for the double post! 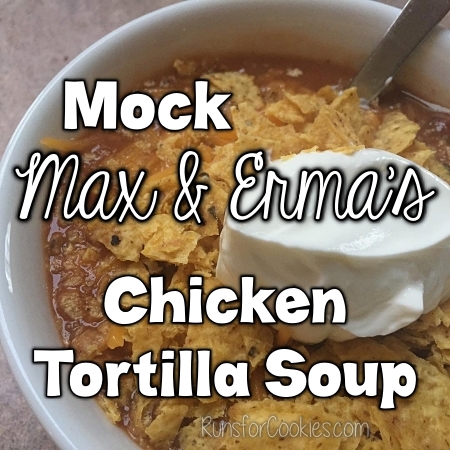 This is a mock-Max & Erma's Chicken Tortilla Soup recipe that I started making ages ago. I serve it at get-togethers, because everyone always raves about it. 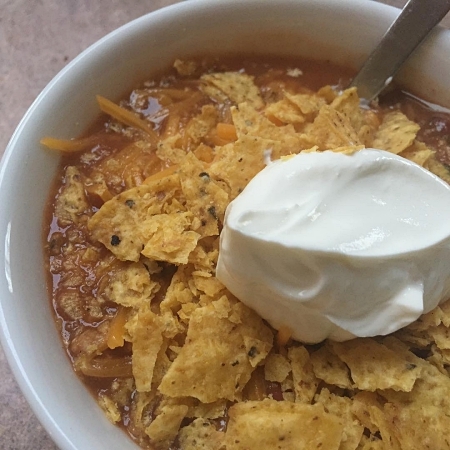 It's super fast to throw it together, and delicious! I always get a lot of compliments when I serve it at a get-together on a cold day. Here is a printer-friendly recipe! Add all ingredients to a large soup pot and bring to a boil. Reduce heat and simmer one hour. Top with tortilla chips, avocado, sour cream, salsa, etc. Makes about 8 servings.